Presenting four of the country's most sought-after individuals who fit perfectly well to the city that makes it all happen, Erwan Heusaff, Nicole Anderson, Patty Laurel-Filart and Mike Concepcion were presented to media last November 12 as the new faces of Makati City's Solstice. 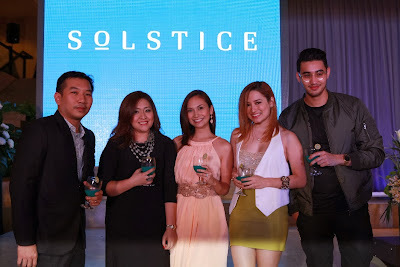 Unraveling the multi-faceted and fun living experience in Makati City, Solstice exudes the young, dynamic and vibrant ambiance suited to the thriving city that is the country's economic powerhouse. With its dynamic characteristic that embodies a similar passion to its city, Alveo Land's Solstice is situated in Makati's newest lifestyle playground, Circuit Makati. "As Alveo Land's first foray in Circuit Makati, Solstice will define the modern standards of the district's high-energy lifestyle and strengthens the continuous evolution and heritage of Makati City's world-class landscape," shares Eunice Acejo, Marketing Head of Alveo Land. During the press presentation, Alveo Land gave everyone a preview of how Circuit Makati will create a holistic environment of live-work-play in equal measure and to provide potential buyers with a glimpse of how life in Solstice will seamlessly complement the lives of today's urban Filipinos. 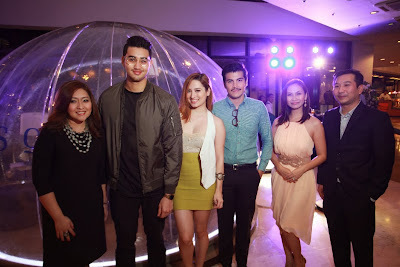 Through the four new ambassadors, everyone got to know the dynamism and high-energy vibe of Circuit Makati has and how modern upscale the whole lot is that can pursue everyone to do what they love to do and uniquely standout from the rest while being in an environment that always excites and ignites one's passion. "The idea behind this engagement is to showcase the emergence of a new way of life in Circuit Makati through Solstice," added Acejo. With the idea of giving access to everything that is relevant, convenient and enjoyable, Circuit Makati's Solstice shares the young generation's go-getter attitude that aims to have that ideal balance between work, home and leisure. 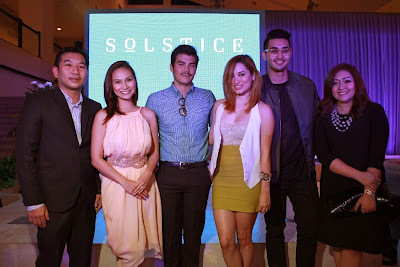 For more information about Alveo Land's Solstice, visit their website at www.alveoland.com.ph, e-mail info@alveosales.com.ph, or call (632) 848-5100 (Metro manila) and 1-800-10-8485100 (outside Metro Manila).